With tomorrow being Thanksgiving in the US, players can take advantage of quieter-than-usual tables to qualify for Sunday´s $250K tournament at Bovada Poker. Traditionally, Thanksgiving Day is a quiet day on the virtual felt. Not only are there dozens of parades and other events taking place, but a lot of regular players are out visiting friends and family. There also happens to be a very important football game tomorrow evening when the Washington Redskins visit the Dallas Cowboys, so it could be a quieter-than-usual day across all US facing poker sites. The significance of this is that, this coming Sunday, Bovada Poker is hosting a special Thanksgiving tournament. 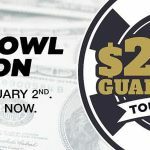 The event replaces the regular High Rollers tournament and, although it retains the same $325.00 buy-in, the High Rollers´ guarantee of $75,000 has been increased to $250,000. Also increased is the number of satellites and sub-satellites feeding into the tournament. Many of the satellites feeding into the Thanksgiving Day tournament (and Bovada Poker´s regular Sunday $100,000 feature event) offer a guaranteed number of seats into the target event; and, while it is quieter than usual tomorrow, there could be some good opportunities to win a seat in much smaller fields than usual – especially during the Redskins vs. Cowboys game (KO 4:30pm ET). Bovada Poker´s $250,000 Thanksgiving tournament gets underway at 5:00pm (ET) on Sunday. 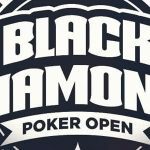 It is a freezeout tournament with no re-buys, add-ons, or re-entries allowed, and 3¾ hours of late registration – 14 levels of 15 minutes each plus a five-minute break every hour. Players start with 15,000 chips and blinds of 10/20, which by the end of late registration will have risen to 500/1,000 with a 100 chip ante. It is not anticipated the event will be undersubscribed. 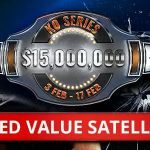 In addition to increasing the number of satellites and sub-satellites feeding into it, Bovada Poker has changed the payout structure so that the top twenty percent of players will cash in the event. Furthermore, there are some very big mega-satellites planned for Saturday and Sunday morning which will qualify dozens of players into the tournament. The presence of last-minute mega-satellites may also have an impact on how many players enter tomorrow´s qualifiers. There is a school of thought the bigger the number of seats up for grabs, the more chance there is of winning one; but whereas the chances of picking up a seat in Sunday afternoon´s mega-satellite may be one-in-eight, the odds could be much more favorable tomorrow. Will You be Taking Advantage of Tomorrow´s Satellites? If you live in the U.S. or in a jurisdiction from which Bovada Poker allows players onto its recreational-friendly platform (Mexico, Brazil, Argentina, etc. ), you should really consider taking advantage of tomorrows qualifiers for Sunday´s Thanksgiving tournament. Opportunities like this don´t come around too often at Bovada Poker, and you could end up winning a valuable cash prize for minimal effort. If you are eligible to play at the site, and have not yet created an account, there are some very good reasons for visiting Bovada Poker today. The site offers a 100% first deposit bonus up to $500 which is cleared in milestone stages, it has an A-rated sportsbook and a world-class online casino (both with their own deposit offers), and an excellent mobile platform which supports the full range of poker games. If you would like to find out more about Bovada Poker before visiting the site, do not hesitate to read our Bovada Poker review. 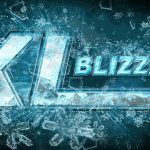 The review provides details of all the bonus offers, explains why the site is considered recreational-friendly, and provides a deeper insight into the experience you can expect when you play. For tomorrow only, the difference between our review and reality is that the site will likely be much quieter than usual. Make sure you take advantage of the quiet environment to qualify for Sunday´s Thanksgiving event.